Novaplas Group has been producing Plastic Injection Moulded products for over 35 years. 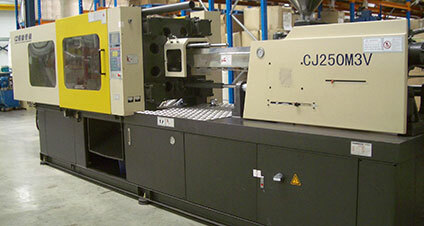 Novaplas also offers Custom Injection Moulding services from concept to completion. Our experienced technical staff work closely with clients through every step of the process from product and tooling design, to raw material selection, to product manufacture. We can assemble, package, and arrange for the delivery of your products worldwide. Our manufacturing plant and showroom are located in Canning Vale, WA. The facility features an in-house design department and the latest manufacturing technology to ensure highest quality products and efficient lead times. Our skilled team has extensive experience in the design and manufacture of complex plastic designs and manufacturing requirements. Due to a good range of shot size and clamping tonnages we can accommodate most product sizes. Novaplas Pty Ltd has a Quality Assurance system in place. Where applicable, our products are tested to the relevant Australian Standard. Novaplas manufactures a vast range of Concrete Reinforcement Spacers for steel fixers, concrete product manufacturers and concrete precast plants.